The AvantBox Belle Chic 2018 is an upgraded, bigger and improved version of our first batch design of Belle Chic (2016). 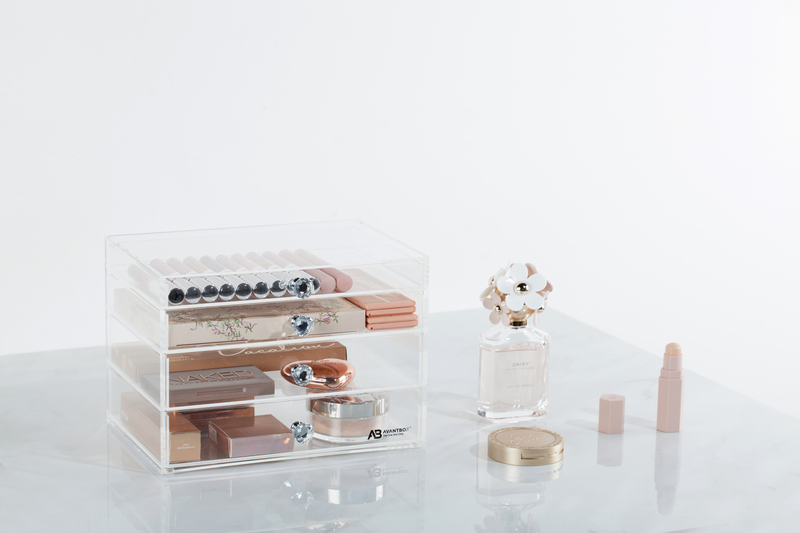 Belle Chic is a practical storage system that provides the space you need for your essential everyday beauty products. 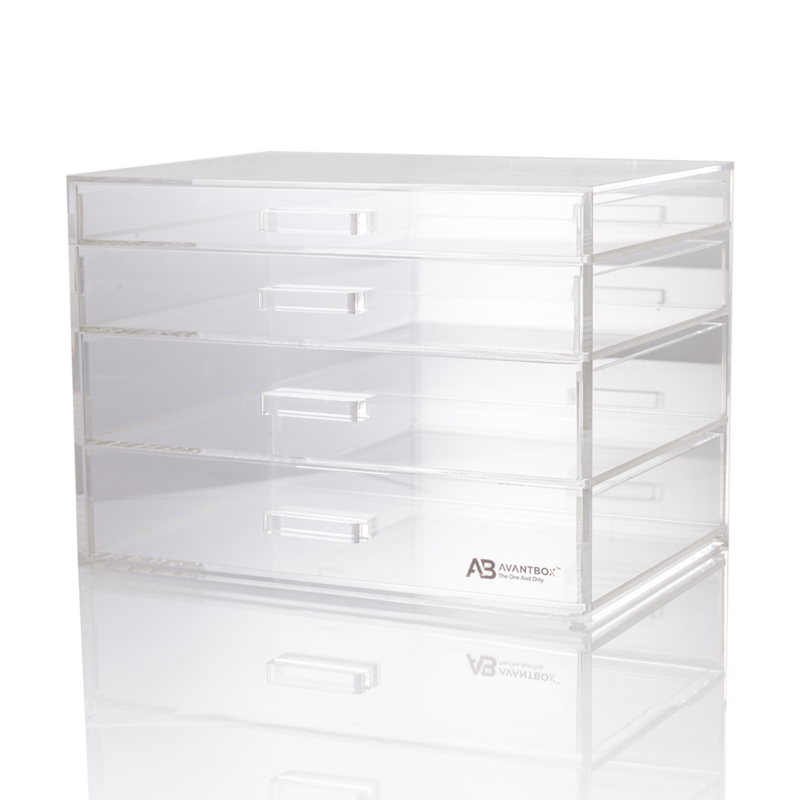 It is designed to store your everyday products from liquid lipsticks, mascaras, loose powders, eyeshadow palettes to foundations and jars of skincare products. 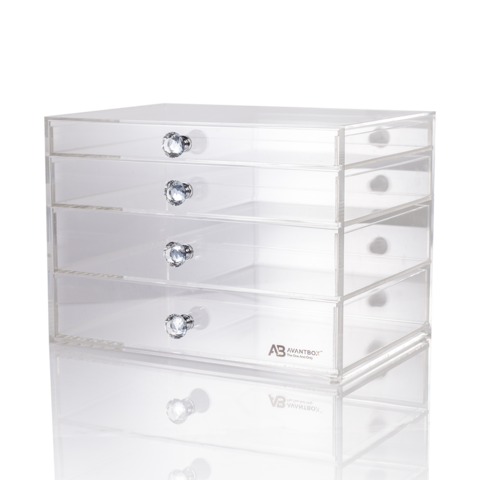 The four drawer configuration is a great option if you don’t need the deep drawer that comes with AvantBox Belle Luxe. Its elegant comprehensive storage lets you organize your products stylishly and keeps them clean from dust. Made from premium-quality, crystal clear, pure Lucite acrylic and elegant strip handles, Belle Chic will add elegance and sophistication to your vanity counter.